PRACTICE YOUR MARTIAL ARTS SKILLS on the GINORMOUS inflatable boxing bag using the HUGE glove boppers! GO FOR THE KNOCKOUT and practice your MMA moves as you punch the inflatable boxing bag with all your might! WEIGHTED BASE OF PUNCHING BAG can easily be filled with sand or water so that when you knock it down it pops back up! 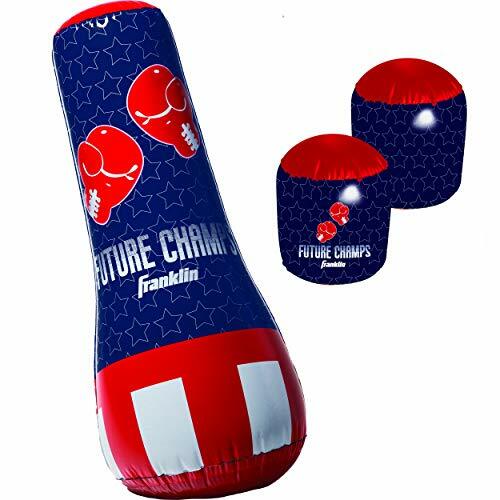 Go for the knockout with the Franklin Future Champs inflatable punching bag and glove set! Put on a pair of these ginormous bopper gloves and practice on the huge punching bag to create hours of boxing fun! The inflatable punching bag features a water-filled weighted base so when you knock it down, it pops right back up! It won't hurt to kick or punch, and is the perfect set for kids being introduced to boxing! Get active and practice hitting the target to develop fundamental hand-eye coordination skills while keeping the game fun and exciting. 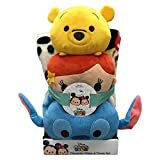 This set includes (1) 3.5ft tall punching bag and (2) boxing glove boppers. Keep kids engaged and have fun learning the sport with this beginner set for your future boxing champion!